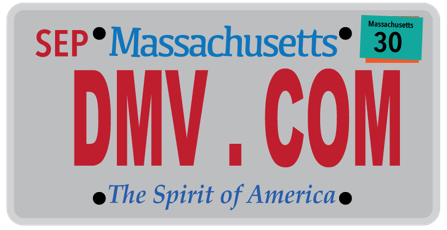 DMV.com was created to help simplify your life by providing you with all the vehicle related information and Massachusetts DMV services you may need, in one place. Quickly find information and services regarding driving records, vehicle registration, drivers license renewal, license plate renewal, getting a learners permit, and finding a Massachusetts Department of Motor Vehicles approved traffic school. Discover the RMV rules for drivers license replacement, renewal and more. A Massachusetts drivers license is required for resident drivers. Ordering MA driving records online lets you avoid the DMV. Request an MA driving record online to get your DMV driving history quickly. Visit our MA online car insurance center to compare car insurance rates. The Massachusetts RMV requires auto insurance for registered cars. Completing Massachusetts traffic school allows drivers to get a car insurance discount. Enroll in a MA driver improvement course today to reap the benefits. Take an MA DMV practice exam online to test your driving knowledge. Applicants must know the MA DMV Manual to pass the written license exam. MA car registration services are provided by the RMV. Find out how to renew car registration online, obtain a new registration and more. Completing Massachusetts drivers education is required for license applicants younger than 18. Sign up for an online drivers ed course today. Learn how to obtain a bill of sale from the MA RMV after you buy or sell a car. A car bill of sale records a transfer of car ownership. Learn how to pay traffic fines online in MA easily today. Drivers must respond to Massachusetts traffic tickets to avoid DMV consequences. Learn about Massachusetts DUI consequences enforced by the RMV. A DUI conviction in MA can result in license suspension or revocation. Buying a car online in Massachusetts makes your DMV car registration process easier. Before you buy a car in MA, consult these resources. . Motorists can access Massachusetts DMV services at DMV locations throughout the state. Find a nearby MA DMV office in your area. Cut out RMV’s bureaucracy. DMV.com has easy guides for drivers license, vehicle registration, license plate, emissions and other motor vehicle issues online. DMV.com is privately owned website and has no connection with any government agencies. Our goal is to help you deal with DMV issues quickly and easy. There will be no more precious time loss, as our guide to the Massachusetts Registry of Motor Vehicles is here to help you. We work to get you the info you need about the Massachusetts driving and licensing concerns, in a way that’ll save you both time and effort. All the forms you need to fill in are also included on our website. All vehicle operators can find detailed info on various topics such as: auto insurance, driver’s license, ID information, credit scores, and much more. Navigating around the website is very simple. There are two options to find the exact information you are looking for about Massachusetts RMV – the “search” feature and the navigation sections. We also have articles that can be of great help for motorcycle and boat owners/operators, as well. You as a reader can be part of our team by providing comments, edits and article submissions. Also you can contribute to our site by using our Facebook page and sharing your experience there too.